The Obesity epidemic is steadily rising globally. According to the World Health Organisation, worldwide obesity has nearly tripled since 1975. In 2016, more than 1.9 billion adults, 18 years and older, were overweight. Of these over 650 million were obese. In fact, most of the world’s population live in countries where overweight and obesity kills more people than underweight. According to a recent report published by BBC, obesity is set to overtake smoking as the biggest preventable cause of cancer in women. In Kenya, recent data for women aged between 15-49 years from four national surveys shows that the prevalence of obesity increased rapidly after 2008, from 7.2 per cent to 12.6 per cent in 2015. Awareness of the problem is growing, but experts fear that not enough is being done to contain it. This condition puts people at a higher risk for serious diseases, such as type 2 diabetes, heart disease, and cancer. Given the fact that obesity is difficult to treat permanently because of the relapse rate, a recommended alternative is educating the victims on what causes obesity and the need for them to embrace good lifestyle practices that reduce the rate of relapse once they have started the journey to recovery. Though not the only cause of obesity, high-fat diets contribute to weight gain. In Kenya, fast food restaurants are springing up all over the country, especially in urban centers. But the food on offer is as a real health threat to consumers. However, given the fast paced life in Nairobi most people find it convenient to buy fast food that is easily available, rather than carry food from home or even cook in their homes. Furthermore, organic food sold in urban grocery shops is very pricey compared to those sold in local markets. Simply put, shopping for fresh vegetables is a hassle and quite expensive. To combat obesity, there is need for consumers to focus more on home cooked meals which are significatly more nutritious than the offerings of fast food restaurants. Home cooked meals tend to rely on fresh ingredients which carry significant health benefits- in addition to packing more flavor. This decision is heavily dependent on the convenience presented to the consumer. How can a person balance between healthy eating amid the busy schedules? This all boils down to the choice of the refrigerator. The refrigerator has long been a staple appliance in the family kitchen setting. Not only is it key in preserving ingredients before cooking, it also makes sure that dishes which have been prepared last as long as possible. However, is your decision to adopt a healthy eating lifestyle dependent on the choice of the refrigerator? 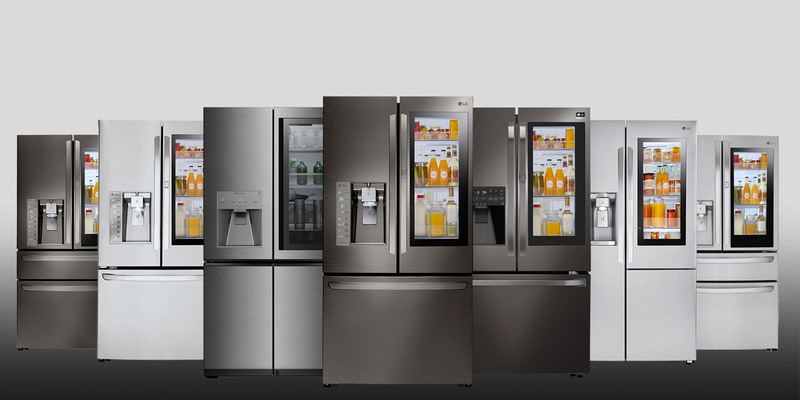 In addition to their innovative and ergonomic designs, the range of LG door-in-door refrigerator designs use insights derived from research to come up with consumer oriented solutions that lock in cold air and prevent food from degrading. The InstaView for instance , minimizes cold air loss by up to 30 % as there is no need to open the door- the consumer taps the refrigerator twice and it lights up displaying the contents inside. This helps to keep fruits and vegetables fresh for longer, while also prolonging the lifespan of leftovers stored inside. Although the effects of obesity are catastrophic, the good news is that they are preventable. It is up to the consumers to decide the best practice to prevent the onset of different diseases associated with obesity. In some cases the best practice is as simple as making a smart refrigerator choice , and watching everything else fall into place. Hey Buddy!, I found this information for you: "How LG heeds the important call of food freshness as a means to a healthier world". Here is the website link: https://www.techarena.co.ke/2018/10/20/lg-instaview/. Thank you.